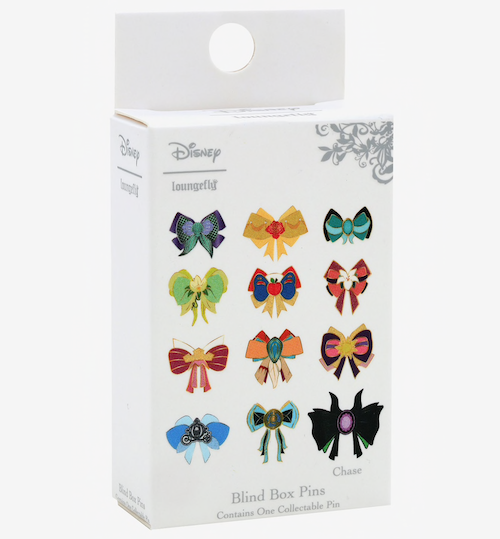 Here is a look the new Disney Princess Bows blind box at BoxLunch! The retail price is $9.90. Released in April 2019. Put a bow on it! These blind boxes include a mystery Loungefly enamel pin featuring a Disney Princess-inspired bow. Which of the 12 lovely styles will you get? Belle’s? Ariel’s? Or perhaps the Maleficent chase? It’s a surprise! Each box contains one randomly selected pin. There are 12 pins in total for this collection. Who represents the bow in the low center? That can’t be Kida from Atlantis. She has never been included among the Disney Princess cannon. …even though Mulan somehow is. I think it is Cinderella because of the round coach. That’s the one above it. I’m talking about the one below, very bottom. I believe its suppose to be Elsa from Frozen. Or it could be Merida from Brave. 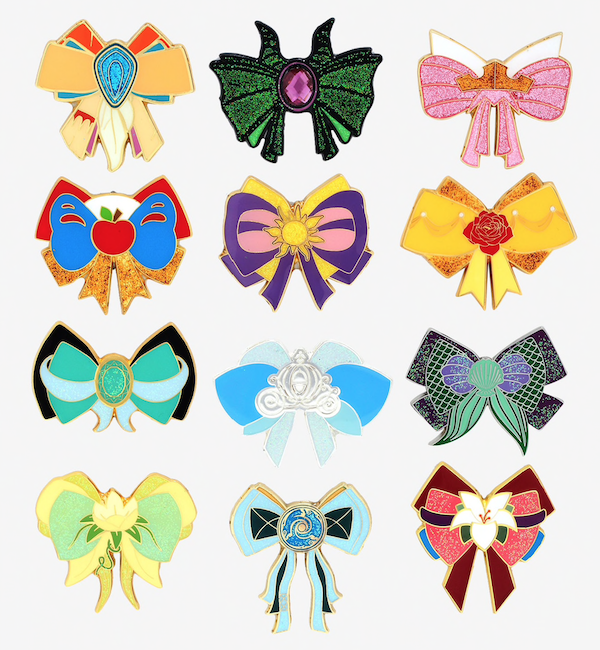 The bow on the bottom row in the center is Merida’s. You can see the 3 bears in more detail on the BoxLunch website when you zoom in.